The Aylmer May Cemetery is a tranquil oasis in Rhodes Park in Lusaka. The final resting place of a small selection of the original residents of Lusaka and its surrounds. 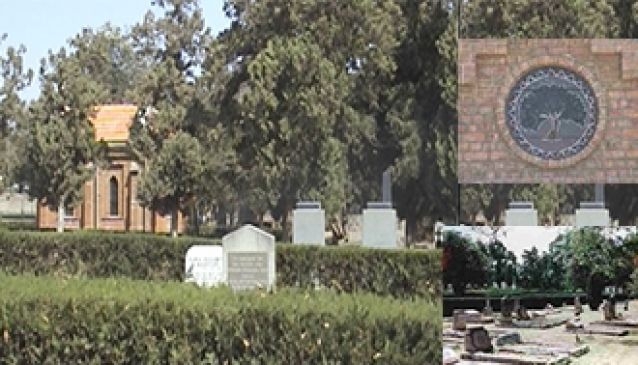 This National Heritage Site is a valuable record of the early history of Lusaka and is looked after and maintained by The Aylmer May Cemetery Restoration Trust. Whilst records are not always complete, the Trust maintains a record of over 1000 graves and tries, wherever possible to provide families and interested parties with information about their, often long lost, family members. The Murray Memorial Chapel is an historic building, built in 1927 by the Catholic Church on behalf of Captain Thomas Henderson Murray in memory of his wife who is buried within the chapel itself. This small, peaceful chapel can be opened by the caretaker should visitors wish to see it. Sadly it is regularly the target of vandals and as a result is kept locked. The cemetery is no longer permitted to bury bodies but families are encouraged to erect memorial plaques or to bury cremation urns in a family member's grave.